Used slitter rewinders can bridge the gap between your company’s winding needs and your available capital investment. Some of the used Slitters we list have been refurbished and / or upgraded, and will serve your needs for many years to come. 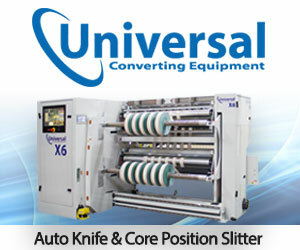 In addition to listing used Slitter Rewinders we will also be listing a variety of other converting machinery. Used Slitters tend to sell very quickly, so to ensure you are informed when new machinery becomes available please follow us on Twitter, ‘like’ us on Facebook or subscribe to our RSS feed. Can’t find the slitter you’re looking for? Sometimes we aware of used slitters on the market, or know of machines that are just about to become available, so if you don’t find a machine that meets your needs please get in touch and we’ll do our best to source you a used machine that will fit your requirements perfectly.